Here’s a bit of a ‘short-cut’ way to make an epic, juicy, tender, fall apart beef brisket sandwich and homemade slaw, with cooking time significantly reduced. This recipe serves approximately 4 people and takes 4 hours cooking time in the oven. Half white cabbage – finely shredded. 4x soft white buns or bread of your choice. 4. Leave to marinate in fridge from 2 to 24 hours. 5. Preheat oven to 120°C/100°C fan. Gently uncover the top of the brisket, remove the meat from wrapping and baking dish and cut into approx. 1 inch cubes (this will help speed up the cooking process) then return to the wrapping/baking dish. 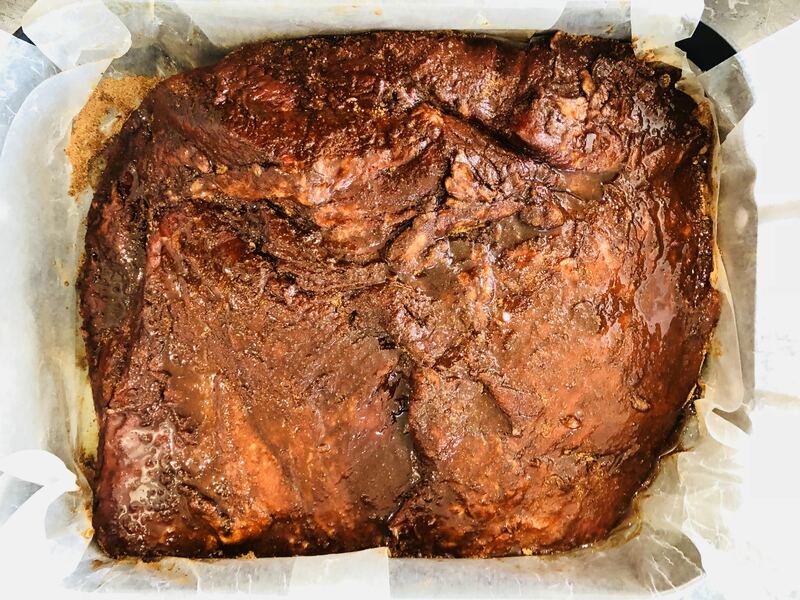 Glaze the top of the brisket with some of the BBQ sauce, re-cover/seal and put in the oven for approx. 4 hours or until the chunks of meat are falling apart. Every hour during cooking, uncover again, baste with the juices, reglaze and re-cover. 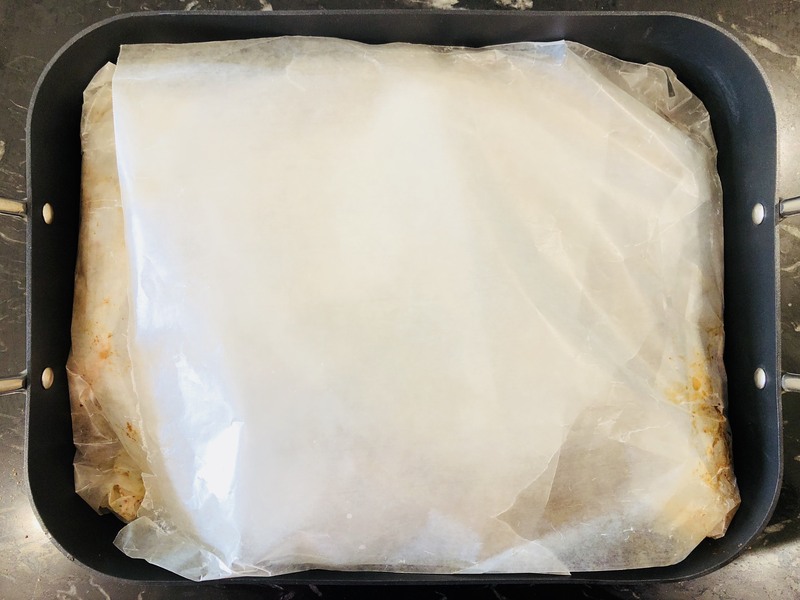 Once cooked, leave covered and rest for 1 hour. 6. To make the slaw. 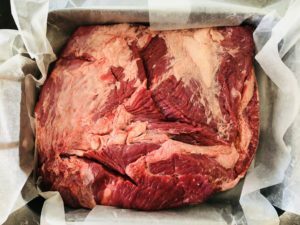 Whilst the brisket is resting, mix the white cabbage, carrots and mayonnaise together into a bowl and then add a squeeze of fresh lemon juice and a pinch of sea salt and black pepper. Taste and adjust as necessary. 7. 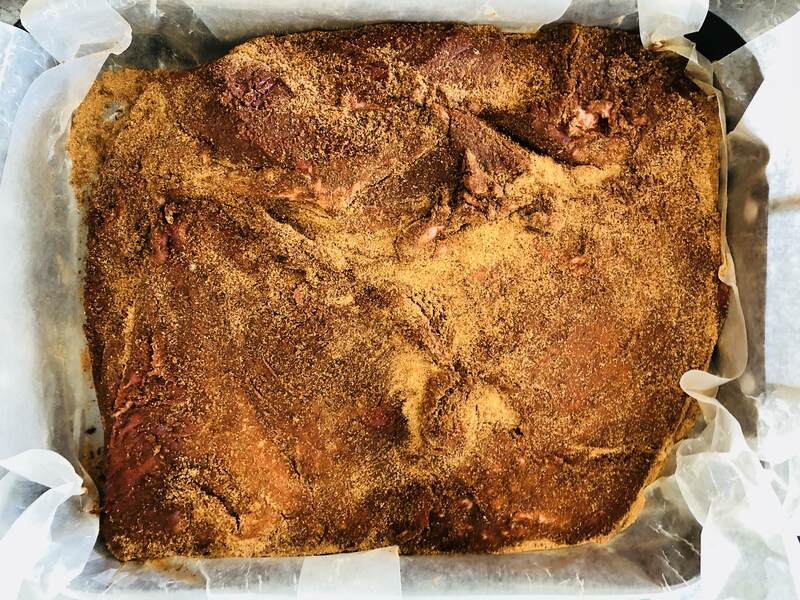 When ready to serve, uncover the cooked brisket, drain any unwanted juices and shred/mix all together. Gently toast the buns and then fill with a generous serving of succulent meat, drizzle over more delicious BBQ sauce and finally top with a pile of slaw. I guarantee your mouth will be watering! I hope you like this slow-cooked beef brisket sandwich with homemade coleslaw recipe, made with The Food Beaver BBQ Seasoning. As always, your feedback is most welcome so please comment below or get in touch at thefoodbeaver.com or through Facebook, Twitter and Instagram.